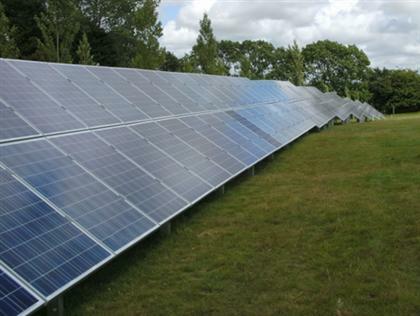 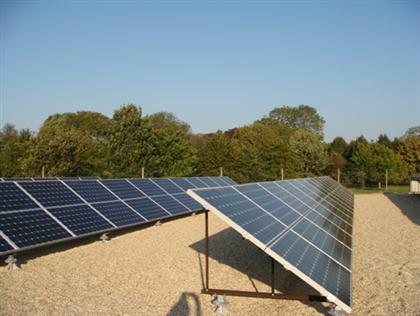 SolarUK has constructed a sustainable Energy centre in Battle, East Sussex utilising innovative renewable technologies including Solar panels, Wind turbine and water to water heat pump and straw wall insulation. 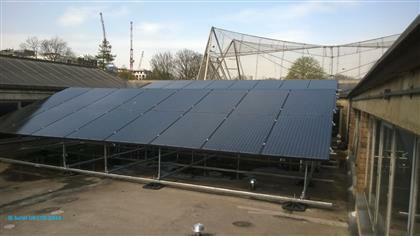 4 KWP All black solar panels on flat roof frames installed by SolarUK installation team. 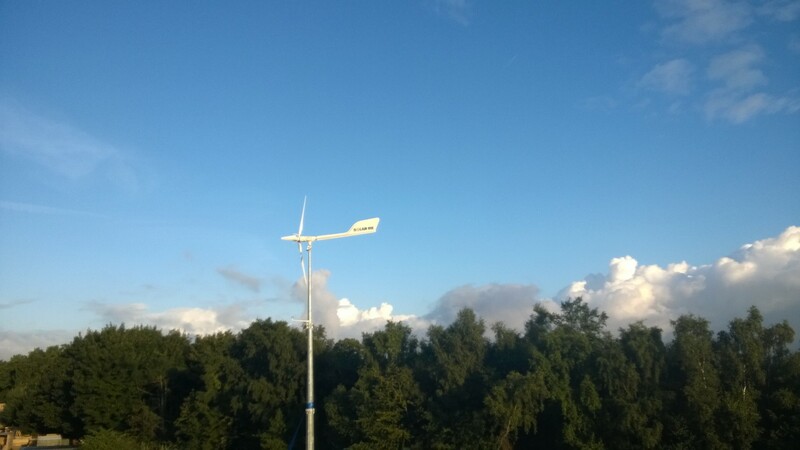 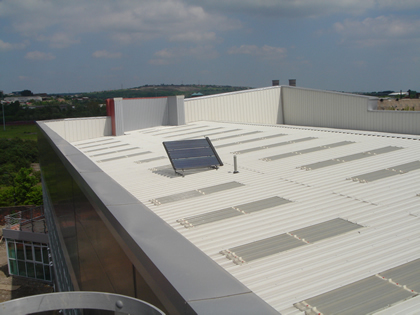 10KWP 3 bladed variable pitch wind turbine installed by SolarUK on their inovative head office building. 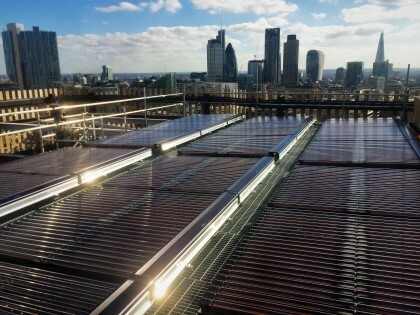 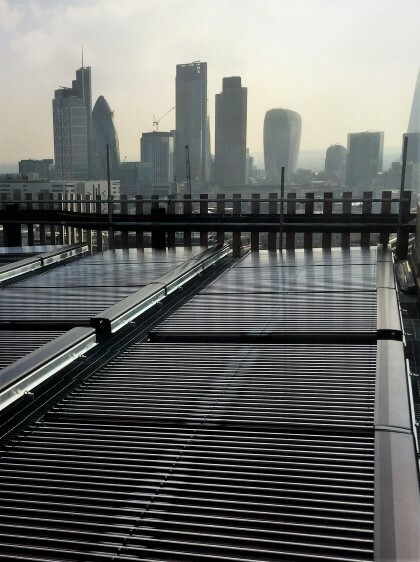 Solar UK Ltd won the tender to install a large scale Viessmann system in the heart of the city. 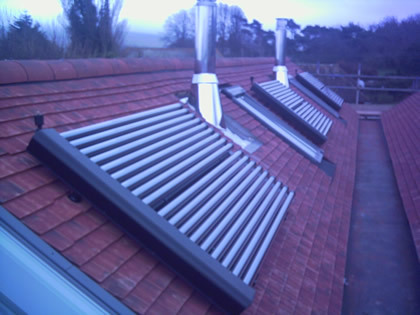 SolarUK's high performance LaZer II solar thermal collectors installed in valley roof optimising available roof space. 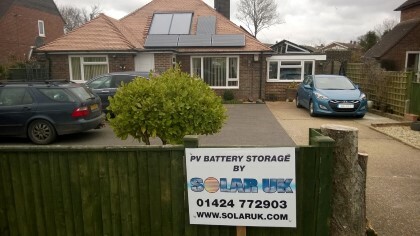 Solar PV Battery storage installed in East sussex by SolarUK Installation team. 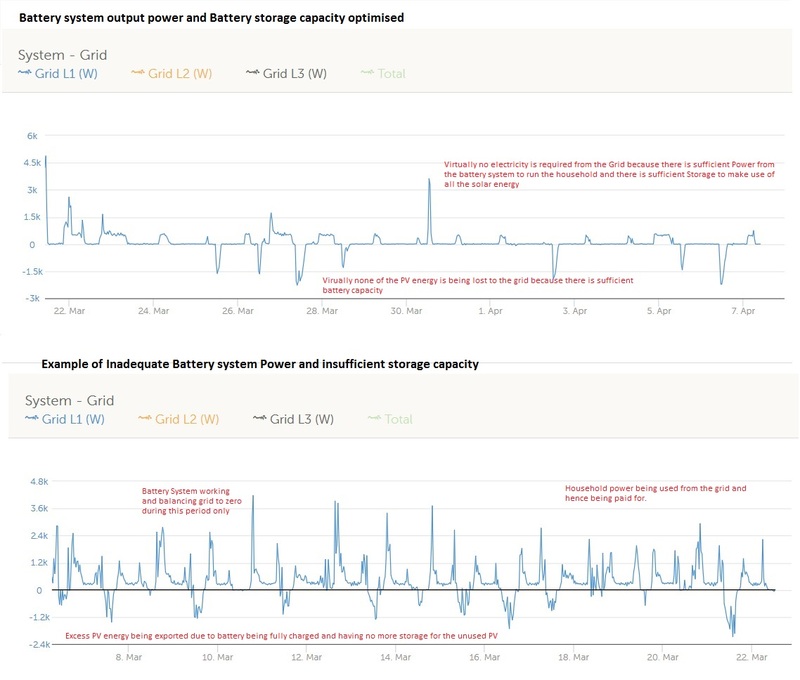 Energy storage solutions are here now! 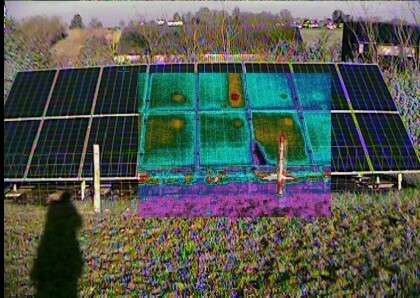 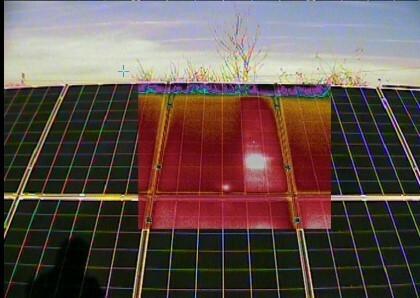 SolarUK's service team diagnosed the faulty module on a 4 KWP solar array using advanced thermal imaging cameras. 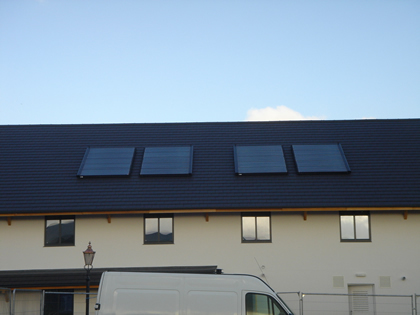 Domestic Client benifiting from a LaZer II solar Thermal system and a 4KW Solar PV system. 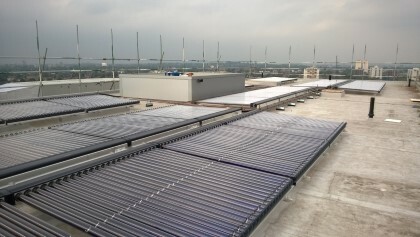 SolarUK completes another large scale commercial solar thermal system on a hospital in Birmingham. 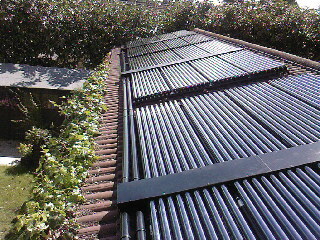 Solar Heat Pump Solution for Pool heating. 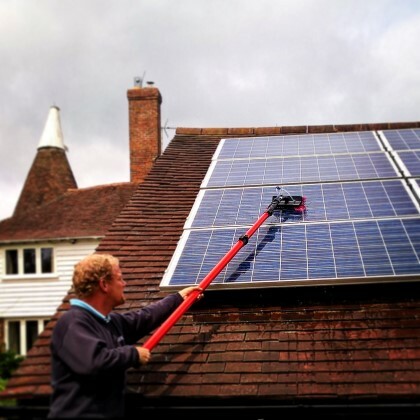 Offering the customer not only the best price but due to our engineers experience we were about to offer an overall saving to the project via the used of a unique wiring stratagem, reducing cable losses. 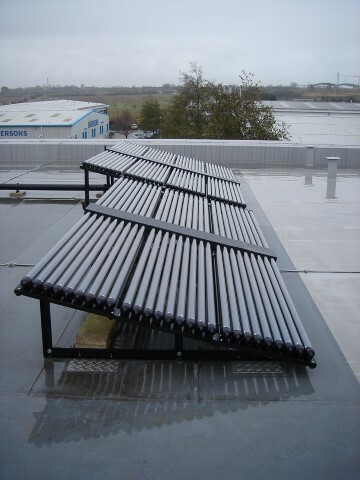 The framework solution used also incorporates an anchor post system which is also used by london underground. 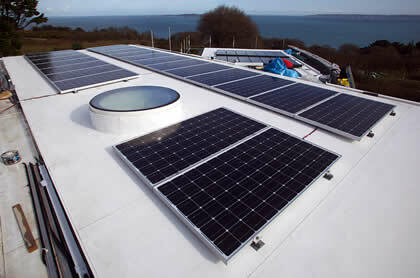 The solar Photovoltaic Panels shown have been installed on a flat roof on Guernsey by SolarUK. 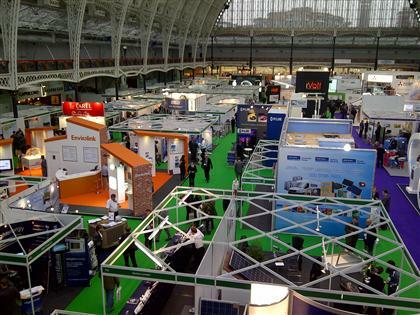 Energy Solutions is the UK’s leading energy management event bringing together more energy managers and industry professionals than any other energy specific event. 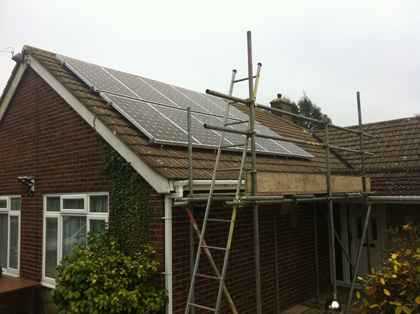 Solar Uk Installers complete another high performance Solar Electric PV system on a domestic property in Essex. 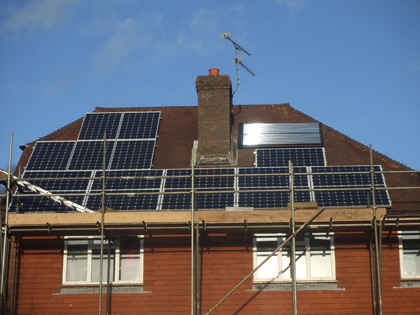 The client gets paid under the FIT scheme for the free electricity the system produces. 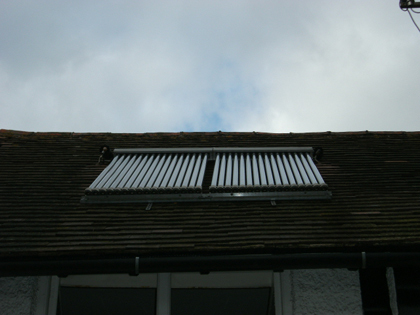 SolarUK Installers mounted this Lazer II Solar Thermal system in the roof rather than on the roof. 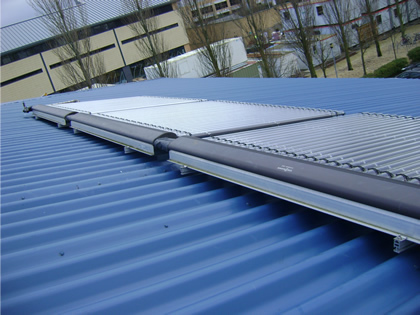 Solar hot water systems can be sized to suit the requirement not to fill the roof! 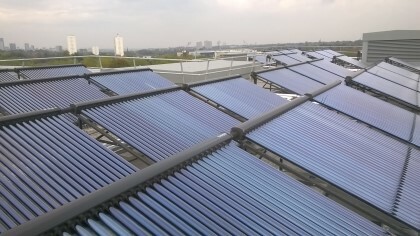 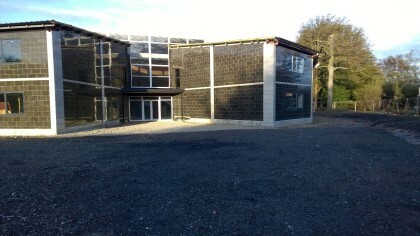 This commercial buildings DHW is provided by Solar thermal panels. 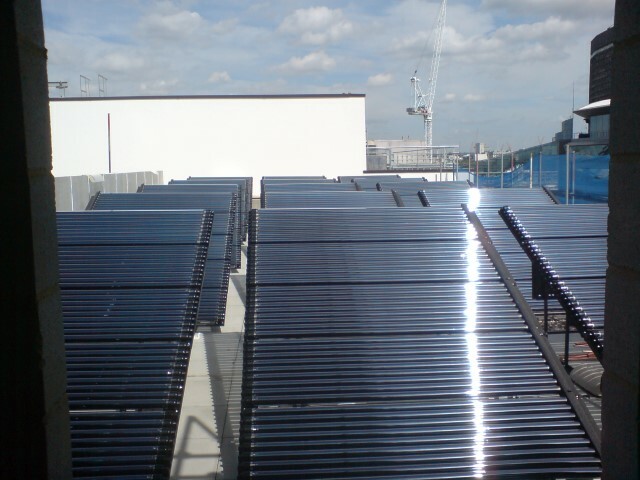 SolarUK, top installers in East sussex completed another large scale solar thermal install in London. 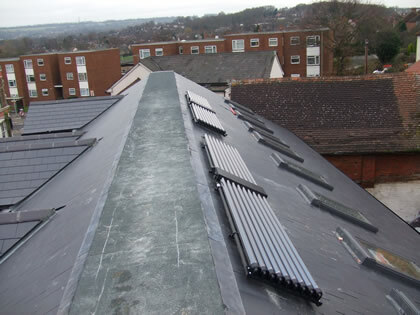 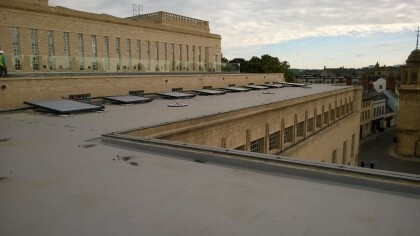 The LaZer II solar panels were mounted on a flat roof and provide hot water for a student accommodation block. 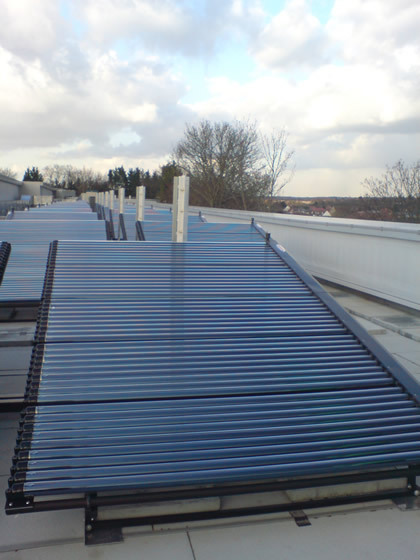 A Solar Thermal LaZerII pool heating system installed on an indoor pool in Guilford Surrey. 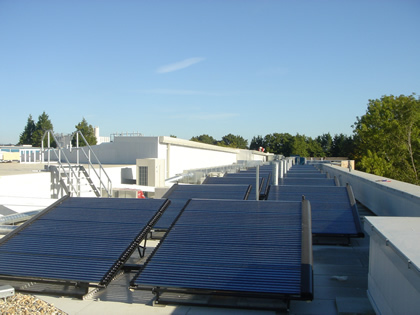 Eco-friendly commercial building benifits from Solar UK's Lazer II solar panels installers completing the system efficiently in Southend, Essex. 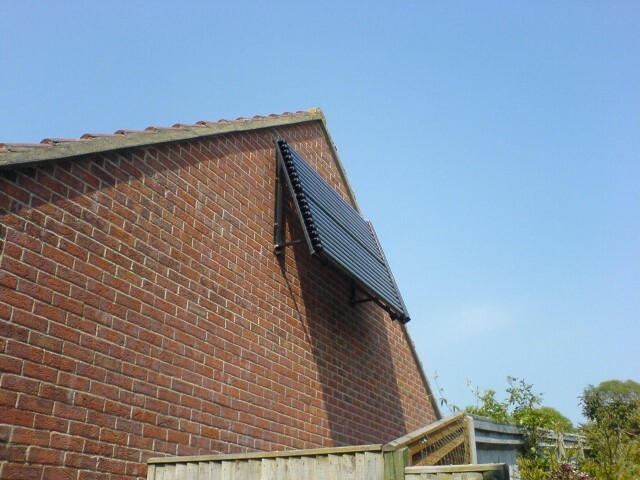 South Facing Wall mounted Solar Thermal panels installed on a domestic property near Brighton in East Sussex. 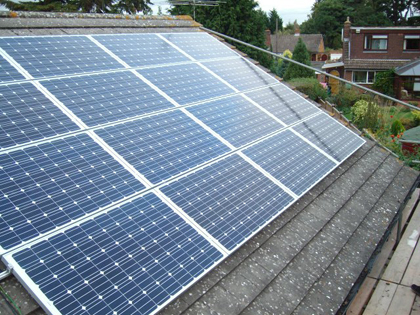 Solar UK install which optimised solar gain from a south facing wall. 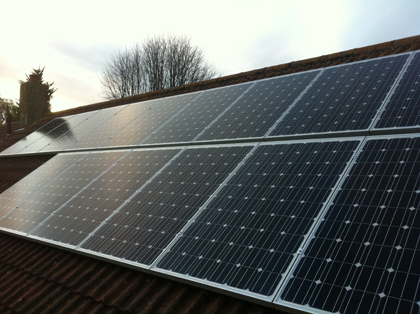 Domestic 2.5KW solar PV Panels installed on a bungalow near Brighton in East Sussex. SolarUK installers completed the installation in less than a day. 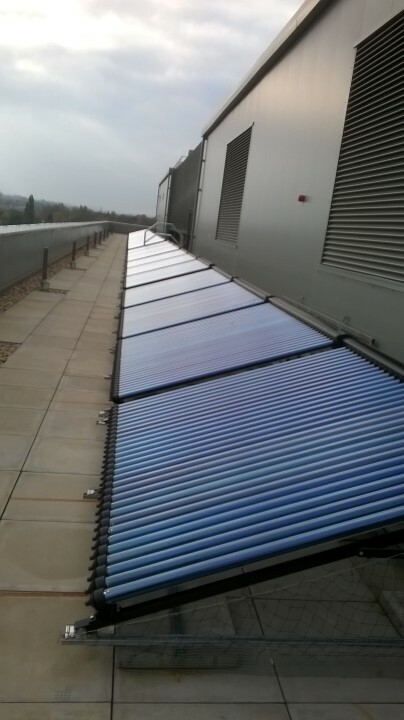 Image shows a recent installation on a new property in Essex. 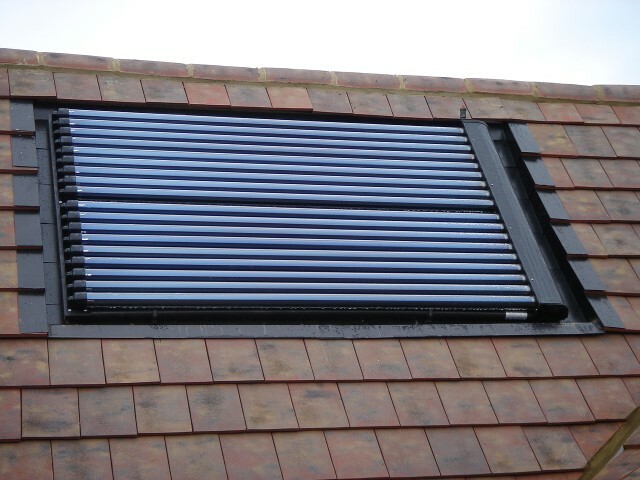 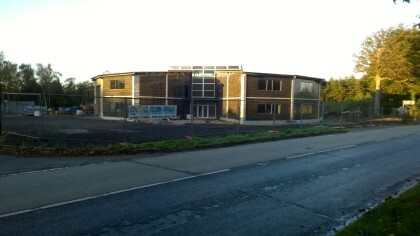 The system was installed as part of the new-build development. 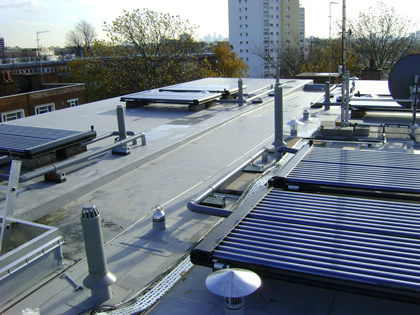 Solar UK is one of the leading UK suppliers of solar hot water systems. 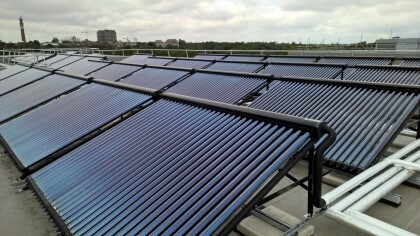 Cambridge College has a large vacuum tube solar water heating system providing carbon free hot water.